An NVQ (National Vocational Qualification) is a work-based qualification that involves a person being assessed within a working environment. It is not possible to achieve an NVQ through a training course or programme, with awarded individuals only receiving their qualification after demonstrating and proving their competency within their job role, on-site and under assessment from fully qualified assessors. There are a number of levels to attain within the NVQ framework. Level One is the foundation level, Level Two is a Skilled Trades level; the Level Three qualification is for Supervisory Roles and Level Four and above concern Management qualifications. This specific NVQ qualification is for those carpenters who are looking to carry out professional site carpentry duties. Even the most experienced carpenters cannot work on site until they have achieved an NVQ Level 2 in Site Carpentry, and this course is open to those people with three or more years of experience in a general site environment. The course is designed to be delivered effectively within a working environment. Any applicants will have to be employed, in order to be assessed as they work. The qualification recognises the skills, knowledge and competency an individual displays on the job. Upon completion it provides access to work within wood occupations and site carpentry within the construction industry. It also allows access to further qualifications within the NVQ framework. Who Should Take the Site Carpentry Level 2 NVQ? All carpenters that are working on construction sites will have to hold a valid NVQ Level 2 in Site Carpentry before they are permitted access. This course provides the requisite qualifications and allows you to commence with your working opportunities within a short timeframe. For those individuals with no experience in carpentry, but who are looking to get into the industry, this course is not suitable. Instead they should look toward entry-level carpentry courses and work their way through the course list. What Skills are Taught on this NVQ Course? The whole point of an NVQ course is that they are assessed through on the job application of skills and knowledge. An assessor will mark an individual against set performance and competency statements put together by the National Occupational Standards, in order to assess the individual’s suitability to the occupation. The assessor, who will also continue to visit and help the applicant with on-the-job training and assessments, will put a learning plan together. Alongside this each individual will have to display evidence of their work in the form of photographs and references from other trades. Once enough competency has been built-up and displayed the awarding of the NVQ will be conducted. Once you have completed your Site Carpentry Level 2 NVQ you will have the foundation of knowledge, skills and understanding to progress onto Level 3 NVQ in Wood Occupations. The National Vocational Qualification, or the NVQ (SVQ in Scotland), is considered the industry standard in the construction business. If you wish to move forward and progress in your plumbing career then you will need a good balance of practical experience and qualifications; an NVQ can offer you this. The training scheme is popular with both employers and trainees as its flexibility allows learners to work and study at the same time. At the beginning of 2011 the minimum training requirements to pursue a plumbing career were altered and candidates are now required to achieve a Level 2 and/or Level 3 plumbing NVQ. As the NVQ is a work based qualification you will need to be employed in a plumbing role, be self-employed as a plumber or be undertaking a plumbing Apprenticeship. Alternatively if you already hold an NVQ Level 1 basic plumbing certificate or a City of Guilds technical certificate you may be accepted onto a NVQ Level 2 Plumbing course, however you will need to find work within the plumbing industry as soon as possible in order to undertake the required practical NVQ course assessments. The NVQ is a qualification primarily based upon practical assessments; although some courses include classroom based learning as well. During you training you will be required to keep a logbook of the practical plumbing tasks you have undertaken. This logbook should be supported with relevant evidence of your work such as photographs or job sheets. 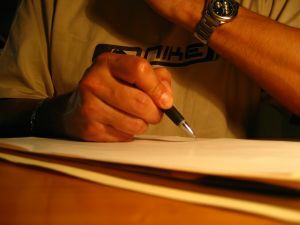 The logbook and evidence will be referred to as your portfolio of work. A NVQ Assessor will come out to your workplace to assess your portfolio and your job progress at several intervals throughout your training. During your practical assessments you will be evaluated in the work place undertaking various plumbing tasks. Once your portfolio of work has covered all practical elements of the NVQ units and the Assessor is confident that the work you carry out meets the required occupational standards you will be awarded your NVQ. On successful completion of your NVQ Level 2 you will be recognised as a qualified Plumber and eligible for the industry card schemes including the CSCS card and/or the JIB-PMES Affiliate CSCS card. 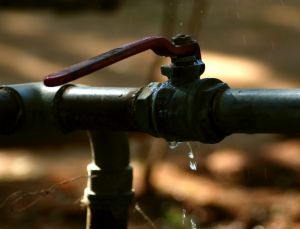 System Installation/Dismantling – The skills required to understand the design and installation of water, sanitary and heating systems and how to dismantle these systems if required. Commissioning/Decommissioning Plumbing and Heating Systems – The skills required to recognise whether a system is installed correctly and in good working order or whether a system is unfit for use and therefore requires repair or maintenance. System Maintenance – The skills required to repair or plan a maintenance schedule for various plumbing and heating systems. Workplace Safety – The skills to safely undertake plumbing and heating tasks in the workplace and to conform to current health and safety regulations. Effective Workplace Conduct – The skills to conduct oneself safely in the workplace in compliance with the relevant guidelines and site rules. Handling – The skills and the ability to handle/move resources correctly and safely around the workplace. Once you have successfully completed your Level 2 Plumbing NVQ you will be eligible to complete the Level 3, however this is not compulsory. The Level 3 Plumbing NVQ units involve more advanced and detailed learning and assessments. Complex System Installation – The skills required to understand the design and installation of complex cold water, complex hot water and complex sanitation systems. Heating Systems – The skills to install, maintain and repair service boilers and central heating systems. Complex Maintenance – The skills to repair or plan maintenance schedules for complex plumbing and heating systems. With a good level of experience and an NVQ qualification you may choose to pursue specialist accreditation’s in the Gas and Oil sector working with gas fires, boilers, domestic and commercial ovens and central heating systems. To pursue a gas related occupation you will need to join the Gas Safe Register. As a plumber you will very likely be working as a sole-trader, so it is very important that you complete your self employed registration. Luckily this does not need to be so difficult thanks to SelfReg’s expert assistance, simply click the link above and complete the application form. Afterwards your application will be processed, and any issues with your registration will be sorted out by qualified staff. There are many roles and occupations available in the construction industry. A career in Roofing is a challenging and rewarding occupation but as you will be working at height it is important to gain the right qualifications and skills to carry out your work safely. If you want to move forward in your roofing career and obtain promotion then you will need a good balance of practical experience and qualifications; an NVQ can offer you this. The training scheme is popular with both employers and trainees as its flexibility allows learners to work and study at the same time. The NVQ is a work-based qualification, which means you will need to be employed by a roofing firm, be self-employed as a roofer, or be undertaking a roofing Apprenticeship. 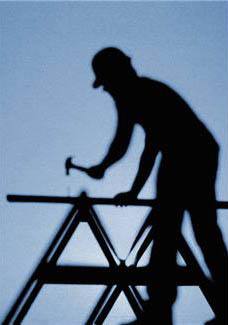 Once you have completed your NVQ you will be recognised as a qualified Roofer and you will be eligible for a CSCS card. The CSCS card is a quick and simple way of providing your employer or site manager with proof of your competence and industry qualifications. Without one you are likely to be refused site access. There are a number of different NVQ Qualifications available at several levels including; an NVQ in Roofing Occupations at levels 2 and 3 which includes unit options such as tiling, slating, thatching and metallic roofing. There are also roofing related NVQ’s available in Cladding Occupations and Mastic Asphalt at levels 2 and 3, and Applied Waterproof Membranes and Maintenance Operations available at NVQ level 2 only. As previously outlined above, the NVQ is a work-based qualification therefore the assessment process is substantially based upon practical tasks which are undertaken in the workplace and recorded by you, the learner, in a logbook or diary. As well as your own personal logbook/diary you will also be required to provide supporting evidence of the roofing work you have undertaken; this could be in the form of photographs, test results, risk assessments or job sheets. The tasks and the evidence that are recorded in your logbook/diary will be referred to as your portfolio of work and will be reviewed several times by an NVQ Assessor. Normally your NVQ Assessor will visit you on site or in the workplace to discuss your progress, review your portfolio and liaise with your line manager or employer. Your Assessor may also observe your practical work. When your portfolio of work contains proof that you have undertaken all the roofing tasks required under the relevant NVQ and your Assessor is confident that the work you carry out meets the required occupational standards you will be awarded your Construction NVQ. Workplace Safety – The skills to safely undertake roofing tasks in the workplace and to conform to general health and safety regulations and working safely at height. The skills to wear, store and maintain your PPE correctly. Effective Workplace Conduct – The skills to interpret information and conduct oneself safely in the workplace, in compliance with the relevant guidelines. Moving and Handling – The ability to handle and select the required materials for the job and move these materials and resources safely around the workplace. Installation– The skills required to understand the design and installation of different types of roofing and how to install different roofing materials. Methods – The skills to prepare, understand and undertake occupational roofing methods. Specialist Installation – Installing and fabricating specialist-roofing materials, such as Solar Panels or Weathering Leadwork, to new and existing roofs. Finishes – Planning finishes schedules and producing and installing different types of Finishes in the workplace. The National Vocational Qualification, or the NVQ (SVQ in Scotland), is considered the industry standard in the construction business and construction related industries. If you wish to move up the career ladder within the painting and decorating sector then you will need a good balance of practical experience and qualifications; an NVQ can offer you this. Many construction employers and trainees favour the NVQ training scheme as its flexibility allows learners to work and study at the same time. Gaining an NVQ is also essential if you want to work in construction, as it will enable you to acquire a CSCS card, which permits you access to over 80% of UK construction sites. Painters and Decorators undertake a wide range of work activities and their role can involve much more than simply decorating a room in a domestic setting. Painting and decorating work can range from large-scale industrial painting to intricate specialist work. There are a multitude of products to learn about which can be applied to numerous different surfaces and structures. And the methods used to apply these products are also skilled and varied. The Painting and Decorating NVQ is available from levels 2 to 4 and these levels cover all aspects of the industry. 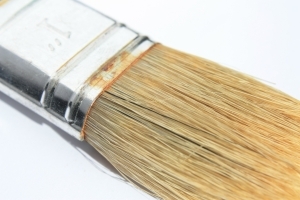 Although there is no specific entry requirement for a Level 2 NVQ in Painting and Decorating it is advisable that you have some experience and are confident that you will be able to complete the necessary practical units. In order to progress to the Level 3 NVQ you must successfully complete the Level 2, and to be eligible for the Level 4 NVQ you must already hold levels 2 and 3 and be employed in a supervisory or managerial role. As the NVQ is a work based qualification you will need to be working for a painting and decorating firm, be self-employed as painter and decorator or be undertaking an Apprenticeship in painting and decorating. The NVQ is a work-based qualification so the assessment process is primarily practical and it takes place on site or at your workplace; however some NVQ courses may include classroom based learning too. During your Apprenticeship or your painting and decorating training you will be responsible for keeping a record of any relevant work you undertake that relates to the required NVQ units. This record may be kept in the form of a logbook but will be referred to by your NVQ Assessor as your portfolio of work. Your logbook/diary needs to be supported with relevant evidence; this could be in the form of photographs, test results, risk assessments, COSHH assessments or job sheets. Whilst you are working toward your painting and decorating NVQ your NVQ Assessor will visit you on site or in the workplace to discuss your progress, review your portfolio and liaise with your line manager or employer. Your Assessor may also observe your practical work. When you have covered all elements of the required NVQ units, your portfolio contains the required information and evidence and the Assessor is confident that the work you carry out meets the required occupational standards you will be awarded your NVQ. Once you have completed your NVQ you will be recognised, as a qualified Painter and Decorator and you will be eligible for a CSCS card. Holders of an NVQ Level 2 can apply for the Blue CSCS card, holders of an NVQ level 3 can apply for the Gold CSCS card and managers who hold an NVQ level 4 can apply for the Black CSCS card. Workplace Safety and Effective Conduct – The skills to safely undertake painting and decorating tasks in the workplace and to conform to general health and safety regulations. Inspections – Inspecting the condition of the workplace property and providing records and reports to support the findings. Materials – The skills to select the right materials, equipment and components for the job. And assess any hazards or special requirements in relation to the chosen materials and equipment. Access and Working Platforms – The skills to erect and dismantle access platforms and equipment such as ladders, trestle platforms, mobile scaffold towers and platform steps. Wallcoverings – The skills to hang wallcoverings upon complex and varied surfaces and structures. Supply of Information – The skills to read and produce drawings and documents, which detail the work, materials and methods to be used on a particular job. Working in the construction industry offers many different career paths and a multitude of different occupations. But getting qualified in whichever construction job role you choose is now more important than ever as over 80% of construction sites and construction related firms are currently complying with the CSCS card scheme. You will find it increasingly difficult to gain access to a site or construction related workplace without a CSCS card and you cannot get a valid and renewable CSCS card or Affiliate CSCS card without first providing proof of your experience and qualifications. If you wish to progress in your electrical career then you will need a good balance of practical experience and qualifications; a Construction NVQ can offer you this. The training scheme is popular with both trainees and employers as its flexibility allows candidates to continue working and whilst they study. Once you have completed your NVQ you will be recognised as a qualified Electrician and you will be eligible for a CSCS card of the Affiliate CSCS Electrician card, the ECS card. Despite an unpredictable economic climate the need for skilled electricians has not wavered. Electrotechnical products and systems are an integral part of modern life in the UK, consequently there is a constant need for qualified electricians to install, manage, maintain, test and repair electrical systems. In order to pursue a career in the electrical sector you will need to get qualified. You cannot go out into the work place as a qualified electrician without first completing your Electrotechnical NVQ. As the NVQ is a work based qualification you will need to be working for an electrical firm, be self-employed as an electrician or be undertaking an electricians Apprenticeship. Alternatively if you already hold basic electrotechnical qualifications such as an NVQ Level 1 or a City of Guilds certificate you may be accepted onto a NVQ Electricians course, however you will need to find work as a trainee electrician as soon as possible in order to undertake the required practical NVQ course assessments. Please Note: You will not be able to pursue an Electrotechnical NVQ if you are colour blind due to Health and Safety regulations. The NVQ is a work-based qualification so the assessment process is primarily built upon practical assessments that take place on site or in the workplace; however some NVQ courses may include classroom based learning too. During your electrical Apprenticeship or your electrical training you will be required to keep a record of the work you undertake that relates to the NVQ training units. This record may be kept in the form of a work diary or logbook but will be referred to by your NVQ Assessor as your portfolio of work. As well as your own personal logbook/diary you will also be required to provide evidence of the electrical work you have undertaken; this could be in the form of photographs, test results, risk assessments, COSHH assessments or job sheets. Whilst you are training as an electrician an NVQ Assessor will visit your work place on several occasions to review your portfolio and liaise with your line manager or employer. In some instances your assessor may also observe you undertaking practical electrical tasks. Once your portfolio of work has covered all practical elements of the NVQ units and the Assessor is confident that the work you carry out meets the required occupational standards you will be awarded your Electrical NVQ. Workplace Safety – The skills to safely undertake electrical tasks in the workplace and to conform to general health and safety regulations. Preparation – The skills to prepare a work area for the installation of electrical systems or equipment. Inspection – The skills to prepare and inspect electrical connections and systems. System Maintenance – The skills required to repair or plan a maintenance schedule for various electrical systems, machinery or plant equipment. System Installation/Dismantling – The skills required to understand the design and installation of electrical systems and how to dismantle these systems if required. 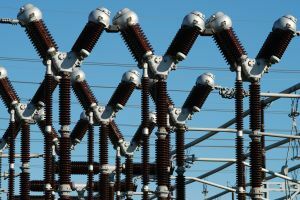 Connections – The skills to connect wiring systems and electrical equipment in compliance with the approved electrical methods. 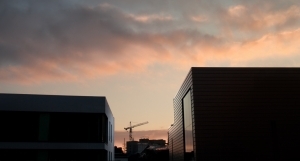 Why do I Need a Construction Related NVQ? Working in construction offers many different career paths and a multitude of different occupations. But getting qualified in whichever construction job role you choose is now more important than ever. If you wish to move forward and progress in your occupation then you will need a good balance of practical experience and qualifications; an NVQ can offer you this. The National Vocational Qualification, or the NVQ, is considered the industry standard in the construction business. The scheme is popular with both employers and trainees as its flexibility allows learners to work and study at the same time. The majority of NVQ’s are completed by candidates who are training under an Apprenticeship. During your Apprenticeship your time may be split between working on site learning your chosen occupation and studying the fundamental elements of that occupation, usually at a college or NVQ training centre. An NVQ is a great way to learn a construction craft and there many construction NVQ’s available for a wide variety of trades including; carpentry, plastering, scaffolding, stone masonry, bricklaying, plumbing and many more. There are multiple NVQ levels available from 1 to 5, 5 being the most advanced NVQ level. In order to progress to the more advanced NVQ levels you will need to complete and pass the lower levels first and also have sufficient practical experience in your chosen construction occupation. Through studying an NVQ you will gain valuable practical experience whilst working toward an industry recognised qualification in the construction related occupation of your choice. When you have completed your NVQ it is likely that your career opportunities and pay scale will increase. By completing a Construction NVQ in your chosen field you will be recognised as a qualified member of the workforce, this means you will eligible for the CSCS card scheme or one of the affiliated card schemes. Possession of a CSCS card or an Affiliate CSCS card is essential for gaining site access in the UK, and it will also assist you in your career progression and employability level. You won’t be able to apply for a renewable CSCS card without an industry recognised qualification and therefore your access to construction sites will be severely restricted, thus affecting the job opportunities you are eligible for. At present over 80% of UK construction sites are complying with the CSCS card scheme, so no card means no access, and no qualification means no card! It is more important than ever to get qualified so find out about the vast and varied construction NVQ’s today and train towards a brighter more successful future in construction. National Vocational Qualifications, or NVQ’s, are the most popular and widely recognised occupational qualifications in the construction industry. For many contractors and construction related firms the NVQ is a minimum requirement for their workforce and it is also recognised by the CSCS scheme, so it is now more important than ever that construction site staff hold an NVQ level qualification of some kind. Competence and training is a highly regarded part of the construction industry and with more and more site workers training for an NVQ the job opportunities for qualified NVQ assessors are on the rise. What Qualifications do I Need to start my Assessor Training? It is also advantageous to possess your own qualifications, whether that be an NVQ, B-TEC, HND/HNC or a Degree. What Qualification will I be Training Toward and How Long Will it Take? Successful completion of the NVQ Assessor Training will lead to a Level 3 Certificate in Assessing and an A1 Assessor Qualification. The length and structure of NVQ Assessor Training courses vary but a typical classroom based course working toward an A1 qualification could be completed in as little as 5 days. There are additional training courses and higher Assessor qualifications available such as the Level 4 certificate, the V1 and the D32/D33. What Does the Assessor Course Structure Cover? The NVQ Construction Assessor training covers the general protocol for an Assessor. The course will cover areas such as; planning and preparing for the assessment process, detailing the candidate observation process, giving and receiving feedback, conducting an assessment on site, the recording of observations and the candidates development, collation and compilation of these observations and records, and finally how to assess the compiled candidate observations in order to provide a detailed assessment and a high level of feedback. What Kind of Work will I be undertaking as a Qualified Assessor? Working as a Construction NVQ Assessor will essentially involve you supporting and assessing site staff who are working towards an NVQ, thus ensuring they attain the occupational standards required to achieve their desired NVQ. As a Construction NVQ Assessor you will be responsible for planning and carrying out NVQ training, observing and assessing NVQ candidates, providing candidates with feedback and advice regarding their practical work and their portfolio of evidence, attending meetings with other assessors and liaising with the candidates employer or site manager, keeping documented evidence of the candidates progress and finally signing off the NVQ as complete when all the occupational standards have been attained. It is likely that you will be assessing several NVQ trainees at any given time so you made need to travel to different sites in order to undertake your observations. A full UK driving licence and your own transport may be useful or fundamental to your job role. A training centre or college can employ NVQ Assessors; additionally large construction firms may employ their own NVQ Assessor if they have a large number of staff undertaking NVQ’s. With further training you could become a Senior Assessor, responsible for overseeing other Assessors and ensuring the NVQ training offered by local training centres, construction firms or colleges is up to the national occupational standard. 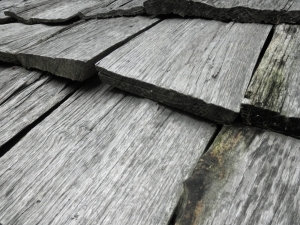 The roofing trade is one of the most dangerous in the UK building industry. 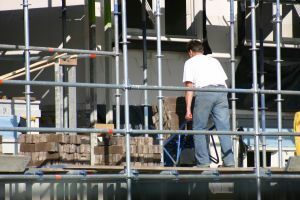 A notable percentage of all injuries and deaths related to the building trade are caused by falls from heights, which makes the job of the roofer one of the top targets for CSCS Health and Safety awareness. The Roofer CSCS Card is a big step towards raising that awareness and ensuring that a predictable level of Health and Safety knowledge is present in the trade. Accidents at work will always happen. The job of the CSCS is to ensure that they happen as little as possible – and that when they do, they are far less serious than they might otherwise have been. The industry wide competence, skills and Health and Safety knowledge accreditation, which includes the Roofer CSCS Card, is there to ensure that you have the tools to make your working environment as safe as possible. A pass in the Roofer CSCS Test is required for any Roofer CSCS Card application. You must also achieve the correct Level in the Roofer NVQ. If you have achieved a Roofer NVQ Level within the last two years, you may already have the Health and Safety knowledge required to pass the CSCS Health, Safety & Environment Test and apply for your Card. The Construction NVQ generally contains a Health and Safety module that can be used as a Health, Safety & Environment Test pass. If you would like more information about the “two year rule” pleased contact Construction Support Line. A Roofer NVQ, like any Construction NVQ, is designed to form a measure of competence in the real world. The emphasis is on the practical facets of your work and your ability to carry them out with skill and initiative. Each Roofer NVQ Level is a mark of your progression through the intricacies of your trade, beginning with Trainee and ending at Manager level. As you attain your NVQ Levels, your skills base will widen to include ancillary capacities – like managing your own staff; recruiting staff; and developing customer care routines that set your business apart as a quality provider of roofing services. In all cases your Roofer NVQ can be marked on site, as you work, by qualified Assessors who are there to see that your knowledge and skills are applied to NVQ Level. As a guarantee of your Roofer NVQ Level (plus your attainment of a CSCS Health, Safety & Environment Test pass), the Roofer CSCS Card is your passport to a better career. The UK construction industry gives its best work to Roofers who have a provable track record for quality and competence. The Roofer CSCS Card is your proof. In all cases, the employer who needs a new Roofer will prefer a candidate who has a good level CSCS Card: a Blue CSCS Card for Skilled Roofers, or a Gold CSCS Card for Highly Skilled or Supervisor Roofers. In order to get your Welder CSCS Card you will need to pass the CSCS Health, Safety & Environment Test appropriate to your trade. The CSCS Card is evidence both that you have achieved a pass mark in the Health, Safety & Environment Test and that you have passed your Welder NVQ at the Level commensurate with the position you hold. There are three steps to follow when you apply for your Welder CSCS Card. First, you need to make sure you have achieved the Welder NVQ: Level 1 for a Trainee (Red) Welder Card; NVQ Level 2 for a Blue (Skilled Worker) Welder Card; and NVQ Level 3 for a Gold (Highly Skilled Worker or Supervisor) Welder Card. 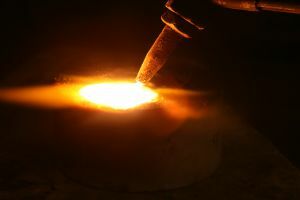 When you achieve Welder NVQ Level 4 or higher you will be eligible for a Black Manager’s Card. Second, you need to book your Welder CSCS Test. There are several different Health, Safety & Environment Tests, appropriate to different trades and roles in a UK building site. Make sure you book the right one. The third step to a Welder CSCS Card is your application. You need to provide the appropriate documentation (a valid form of current photo ID, proof of address and your CSCS Health, Safety & Environment Test pass). You can get information from Construction Support Line about the documentation you need to provide, including documentation that proves you have passed the Welder NVQ to the correct Level. The Welder CSCS Card is colour matched to your Welder NVQ Levels (as noted above). It’s an instant way for your employer and site manager to check your level of qualification, competence and skill in the Welding role that you perform. The Welder NVQ is structured so that each Level covers an industry recognised standard of improving knowledge, skills and problem solving abilities. You’ll be assessed for your NVQ by a qualified On Site Assessor whose role is to observe you work and pass you for each NVQ module as you display the skills necessary for it to be marked as completed. UK construction sites are becoming more and more reluctant to employ any Welder without the Welder CSCS Card. The Card is only available to Welders who have passed the CSCS Health, Safety & Environment Test, which means it is evidence of due diligence on your employer’s part, as well as evidence of your ability to do the job to the standard expected of you. If you want the best roles in the Welding trade, you need to make sure you have the Welder Card that shoes the right colour for your level of competence. The Welder CSCS Card is endorsed with all the qualifications you hold, including your CSCS Health, Safety & Environment Test. It shows your photograph; your registration number; your name and the expiry date of the Card. There’s a data Chip on it, which contains an electronic copy of all that information. Your manager or site owner is able to check instantly that you are who you say you are. That makes the Welder CSCS Card more than just evidence of your competence – it’s also a security measure for the site itself. 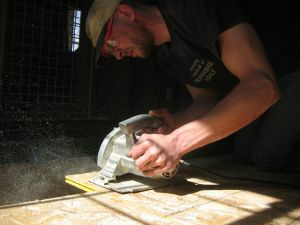 Retro fitting for greener construction is quickly becoming a major source of employment for workers whose trades are connected to energy efficient building. The Green Investment Bank and the Green Deal are both making projects that have a significant green component to them, more viable. That often means retro fitting existing infrastructure, particularly business and public sector infrastructure, to take advantage of the cash incentives available for carbon zero installations. Your Dryliner CSCS Card has become a ticket to take advantage of the retro fit boom, as one of the trades at the head of the line for carbon zero building. As the green deal starts to incentivise energy efficient building, there are clear opportunities for the following g trades: heating engineers; drylining workers; roofers; glazers; plumbers; and electricians. Anything to do with insulation, heating and temperature control is big business. The Dryliner CSCS Card, which stands as evidence of your competence in your trade, shows that you have the skills and knowledge necessary to apply new environmentally friendly techniques. Your Dry Lining NVQ Level dictates the colour of Dryliner CSCS Card you are entitled to. It also displays the current level of your expertise to your employers. As a rough guide, Blue and Gold Dryliner CSCS Cards are where you should be aiming if you want to take advantage of the retro fit boom. The Blue Skilled Worker and the Gold Highly Skilled Worker or Supervisor’s CSCS Cards show that you have significant experience and skill. There has been some concern expressed in the trade that Dryliners and other green construction workers may not have time to train in the new skills before deadlines for retro fitting projects start to loom. That concern doesn’t take into account the constantly changing nature of the drylining trade, indeed all UK building trades. Just as you no longer use the tools that your grandfather would have used, so are you able to adapt to new tools, materials and techniques as they arise. The Dryliner CSCS Card in its Blue, Gold and Black (Manager) forms shows that you have the experience and ability to adapt to new techniques. The Dryliner NVQ is a measure of your all round ability. That includes the capability to take on new techniques and incorporate them into your drylining work. Your Dryliner CSCS Card, particularly the higher colours of Blue, Gold and Black, is an industry wide statement that you are flexible, smart and ready to retro fit. Don’t worry if you have all the experience necessary to adapt to new green construction techniques, but no Dryliner NVQ. You can book an On Site Assessment to get qualified while you work. Your On Site Assessor will mark you for modules that your skills allow you to pass. Once you have achieved your Dryliner NVQ Level 2 or 3, you’ll be able to apply for a Dryliner CSCS Card in Blue or Gold respectively. Achieve NVQ Level 4 and you can apply for a Black Manager’s Card.